Click here to read part one of this report. Campfire Audio has earned a reputation for manufacturing some of the most finely crafted and sonically accomplished high performance earphones presently available (watch for the upcoming Hi-Fi+ review of Campfires Polaris and Andromeda earphones for more details). 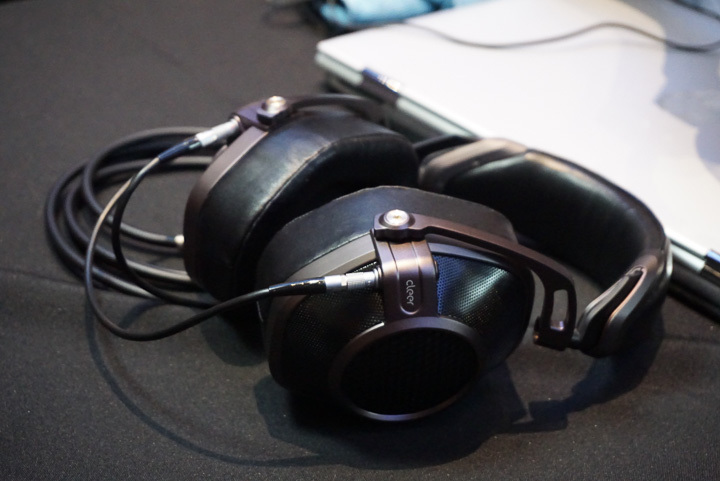 However, for CanJam NYC the firm broke new ground with its first-ever full-size headphone, called the Cascade ($799). The Cascade is a closed-back, dynamic driver-equipped headphone fitted with 42mm dynamic drivers sporting Beryllium-PVD diaphragms. Other key construction details include and all-metal frame and metal ear cups, with a clever magnetic ear pad attachment system. The sound of the headphone (in terms of voicing) plainly shows the influence of Campfire’s excellent earphones, which are known for their uncanny smoothness and spaciousness, with generous amounts of resolution. Caprice’s demonstration featured a Questyle CM600i reference amp/DAC driving two sets of high-end headphones, with a pair of Mosaic devices waiting in the wings to be connected to the system. Caprice played sets of highly three-dimensional test tracks through the system, first with no Mosaic device in use (to establish a baseline) and then through a Mosaic connected via a copper conductor-based Caprice connection cable and then through a Mosaic connected via a silver conductor-based cable. I found that in both cases the Mosaic device helped lower the system noise floor, with concomitant increases in low-level detail, perceived transient acuity, and overall three-dimensionality. The question of whether the copper- or silver-based connection cable was better is open to interpretation, depending on which headphone(s) were in use. 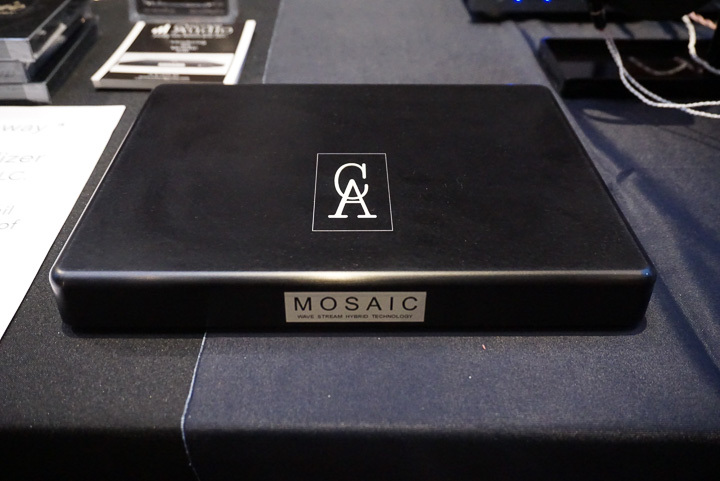 Either way, the Mosaic device offered plainly audible benefits. I think it would also be interesting to hear what the Mosaic device could do in a conventional loudspeaker-based system. 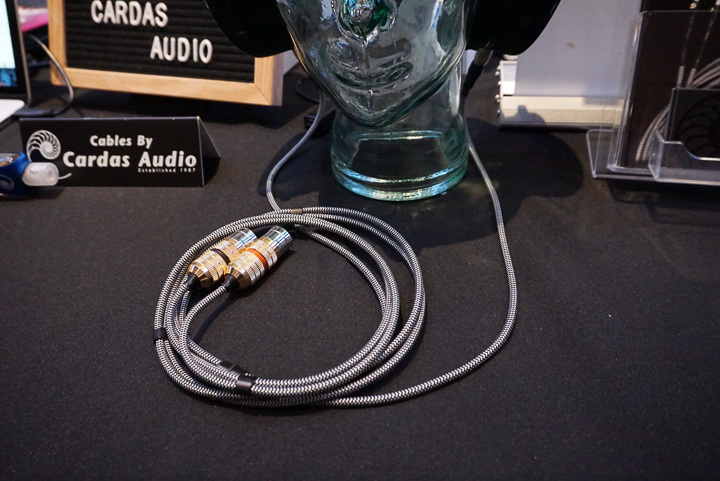 The justly famous Oregon-based audio cable manufacturer Cardas showed its new top-of-the-range headphone cable, called—logically enough—the Clear headphone cable, which is patterned after the firm’s very successful Clear family of high performance cables for traditional loudspeaker-based systems. Typical pricing for a set of Clear headphone cables would be ~$600/1.5m set. Cardas can build the cables with a wide range of terminations to suit specific headphones and/or amplifier configurations. Also on display at the Cardas stand was the new 30th Anniversary edition of the firm’s elegant little A8 earphones, as reviewed in the upcoming Hi-Fi+ issue 157. The HA 300 is beautiful to look at with design cues reminiscent some of the lovely (but decidedly premium-priced) products from firms such as Airtight. But the real draw of this amplifier involves its sound quality, which I think could go toe-to-toe in comparison with most any top-tier offering regardless of price. I very much look forward to reviewing this amplifier, if only to see and hear what it can do with my collection of top-tier reference headphones. ‘One Cayin’s best efforts, ever. 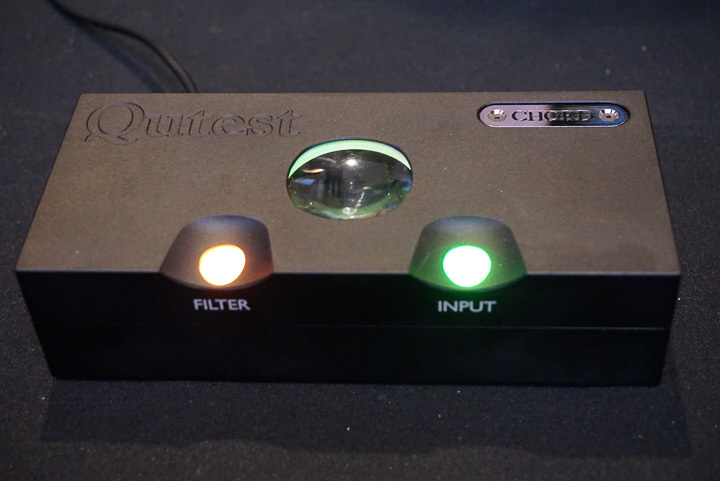 The British firm Chord Electronics highlighted two products at CanJam NYC: the new Qutest DAC (£1,200, US price TBD) and the long-awaited GoFigure configuration app for use with the Mojo portable amp/DAC and it companion Poly Wi-Fi streamer (as recently review in Hi-Fi+). In essence, the Qutest DAC is the DAC section of the superb Hugo II portable headphone amp/DAC, but repurposed for use in traditional headphone systems. The GoFigure app is the eagerly anticipated and heretofore missing piece that promises to tie together all the capabilities of the Mojo+Poly combo, which dramatically simplifying (and in part automating) Poly set-up tasks. Officially, the Chord team told me, the GoFigure app would not launch until the Bristol Show held on February 24-25, so we refrained from publishing this report (and its photo of the GoFigure app in use) until after the Bristol event had taken place. If you own a Mojo+Poly combo, you’ll want this app, ASAP. If you don’t own a Mojo+Poly combo, seeing the app in use might make you want to own one. 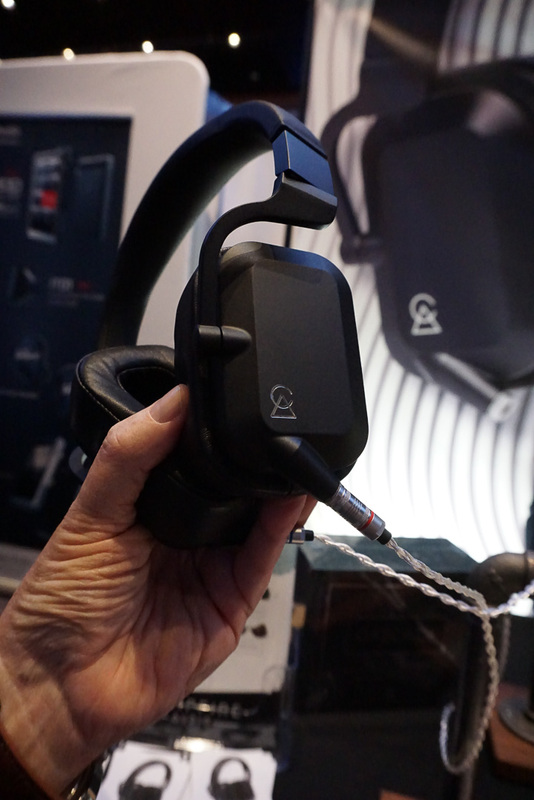 In the “almost there” department we have Cleer’s very promising looking Next headphone, which will feature a dynamic driver fitted with a Magnesium diaphragm and whose projected price will be $699. This headphone has gone through an unusually long gestation period, which we hope means that most of the typical ‘bugs’ and ‘kinks’ will have been worked out before the headphone arrives on the market in April of this year. 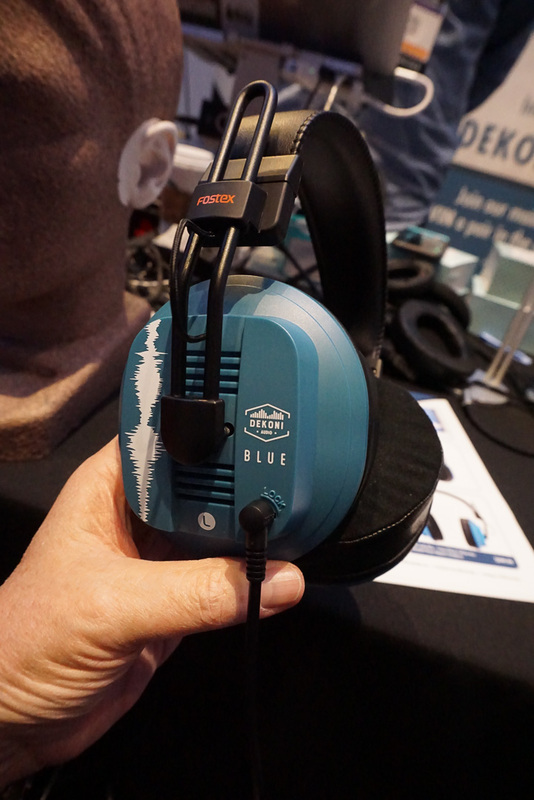 The headphone/earphone accessory manufacturer Dekoni outdid itself for CanJam NYC by releasing its new Dekoni Blue headphone ($299), plus a slew of new ear pad options for the Sennheiser HD600-family headphones, Sennheiser HD800-series headphones, as well as Elite-series ear pads offer in sizes/shapes to fit select AKG, Audio-Technica, Beyerdynamic, Fostex, and Sony headphones. Dekoni ear pads use YM80 memory foam and are available with sheepskin, fenestrated sheepskin, velour, and hybrid sheepskin/velour covers, with prices ranging from $59.99 - $109.99/pair. Dekoni pads are said to improve comfort as well as sound quality. 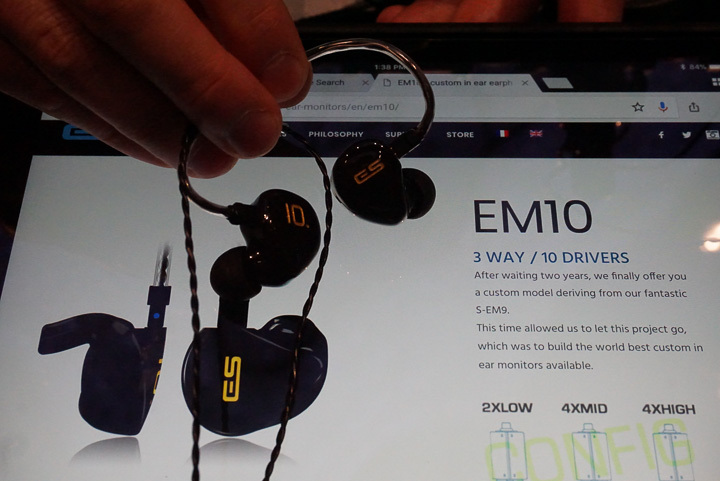 The French earphone and CIEM specialist EarSonics debuted a demonstration-only universal-fit version of its new flagship EM10 CIEM. The EM10 uses ten balanced armature-type drivers per earpiece, grouped as two low frequency driver, four midrange drivers, and four high frequency drivers. In a very brief listening session with the EM10 demonstrator I felt the new flagship model showed great promise and will bear further investigation. 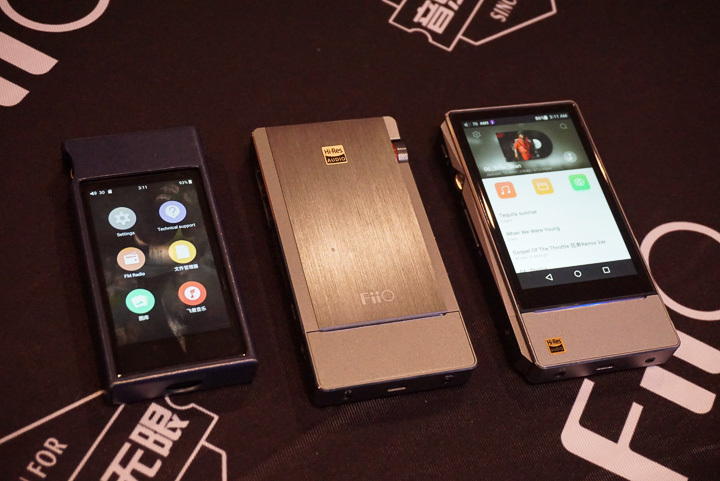 Fiio showed a pair of new value-priced portable digital audio players (DAPs) including the flagship X7 Mk II ($650) and the X5 Gen 3 ($ 350), which draws upon the design of the X7 in many respects. The X7 Mk II is a Wi-Fi enabled, Bluetooth 4.1 and aptX-compatible, Android 5.1-based DAP that features the ESS ES9028PRO DAC device, with support for PCM/DXD files up to 32/384 and DSD files to DSD128. The versatile X7 MkII provides 2GB of RAM, 64GB of ROM storage, and supports two MicroSD cards with total capacity of up to 512GB. What is more, the X7 MkII supports a variety of optional plug-in amplifier modules and also supports major quick charge protocols. The X5 Gen 3 is a Bluetooth 4.0 and aptX-compatible, Android 5.1-based DAP that features dual AKM AK4490 DAC devices (one each for the left and right channels), with support for PCM/DXD files up to 32/384 and DSD files to DSD128. The X5 Gen 3 provides 1GB of RAM, 32GB of ROM storage, and—like the X7—supports two MicroSD cards with total capacity of up to 512GB. Finally, Fiio showed its most ambitious earphone to date: the F9 Pro, which sells for $139. The F9 Pro features one dynamic driver and two balanced armature-type drivers source from Knowles. 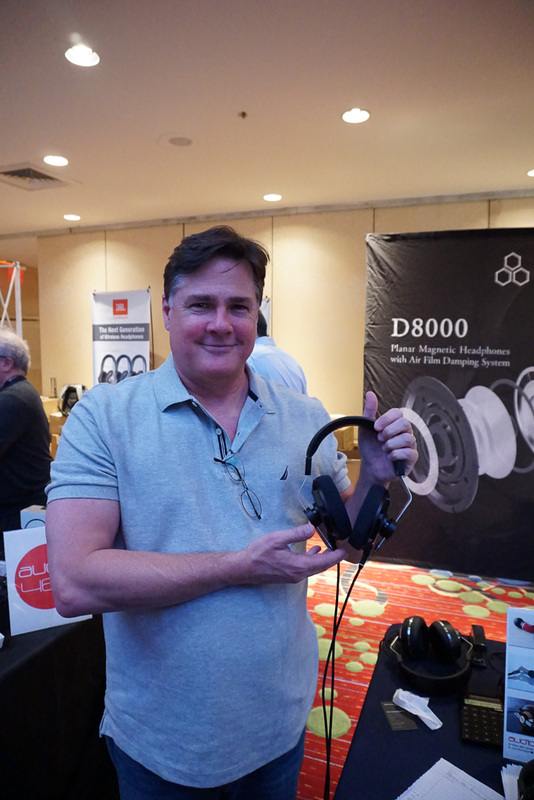 Final’s big release for CanJam NYC was its spectacular new D8000 planar magnetic headphone with proprietary air film damping system ($3,799), as reviewed in the next issue of Hi-Fi+. The D8000 is, quite simply, one of the most expressive yet also beautifully controlled planar magnetic headphones we have ever heard regardless of price. 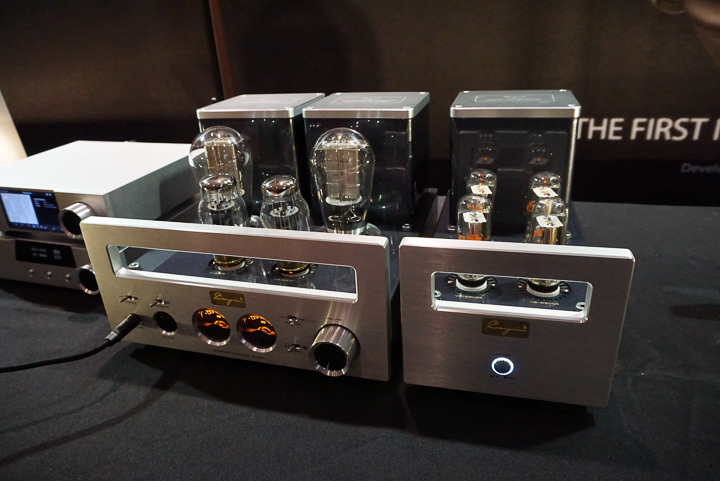 Several pairs of D8000s found their way to CanJam NYC and various manufacturers of high-performance headphone amplifiers were vying amongst themselves for opportunities to use the D8000 at their demonstration stations (and yes, the headphone really is worth vying for). A not necessarily well-known fact is that Focal North America handles most of the French firm’s consumer orientated headphones such as the famous Utopia, Clear, and Elear models, while the Focal Pro division, whose products re distributed in North America by Audio Plus Services, represents a different and more studio-orientated range of Focal headphones. 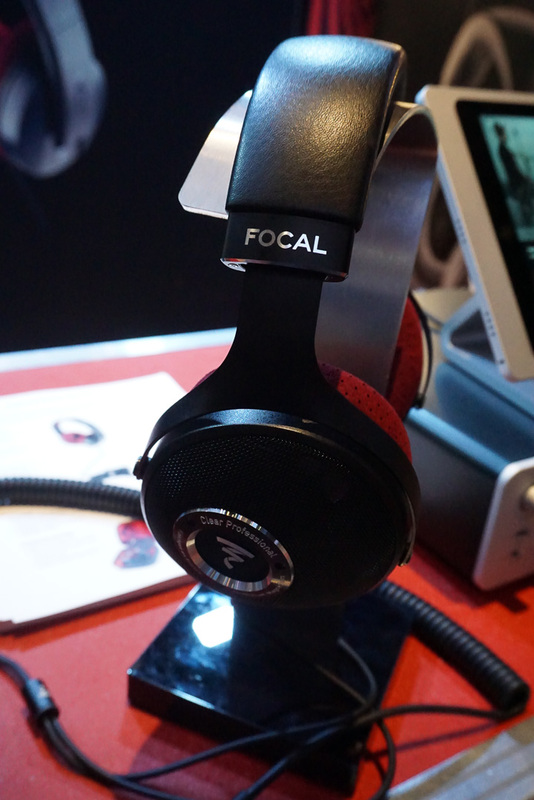 For CanJam NYC, though, it became apparent that there is at least some overlap between the ranges as Focal Pro now gets its own version of the recently released Focal Clear headphone—in this case a version called the Focal Clear Pro. Internally the Clear and Clear Pro are identical, but externally the Pro version offers a very attractive matt red and black colour scheme. The Clear Pro comes with two sets of perforated microfibre fabric-covered ear pad and with two signal cables, including a beefy-looking coiled cable that appears ready to stand up to the rigours of frequent studio use. The Clear Pro model also comes with a rugged hardshell carry case. The price for the Clear Pro is very slightly higher than that of the standard Clear headphone, at $1,699.